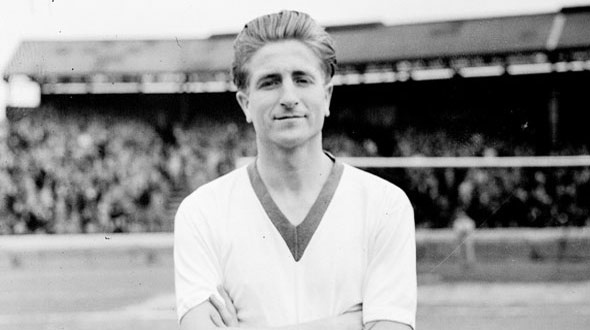 Dave Hickson, an Everton legend and hero to many has sadly passed away. A true giant of Merseyside football, Hickson played successfully for both Everton and Liverpool, before ending his career with Tranmere Rovers. He was one of the games typical number nines, incredibly brave and with a ferocious shot that earned him the nickname the “Cannonball Kid”. I was fortunate to meet Dave on two occasions and both times he waxed lyrical about the Blues. As an 8-year-old I received a personalised tour of Goodison Park, just me, my uncle and Dave. We explored every inch of Goodison and he had a story to tell wherever we went. A quite brilliant man and one of the greatest Evertonians that ever lived. He often spoke of his love for Everton and summed up what it meant to play for the Blues in one brilliant quote.